Our first night in Kingaroy we splurged for some power and showers and booked a site at the showgrounds. It was kind of pricey for a showground at $25/night, and it was packed to the brim with grey nomads for some reason. The next day we discovered there were $2 hot showers in the public toilets in town anyway. Ah well. We spent another fruitless day at the library searching for work, the highlight (or lowlight?) of the day being seeing Bob Katter and his minions outside the library, and Billy photobombing them during one of their media ops. I wonder if it made the papers. The next night we stayed a bit out of town at a free site in Wooroola, which also had $2 hot showers (they were super clean too – cleaner than the showgrounds!) 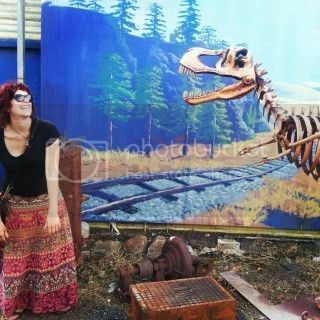 and then popped back into town to continue the hunt. We had a couple of hopeful but not immediate prospects, and Billy spent some time getting his white card, while I got my Queensland RSA. 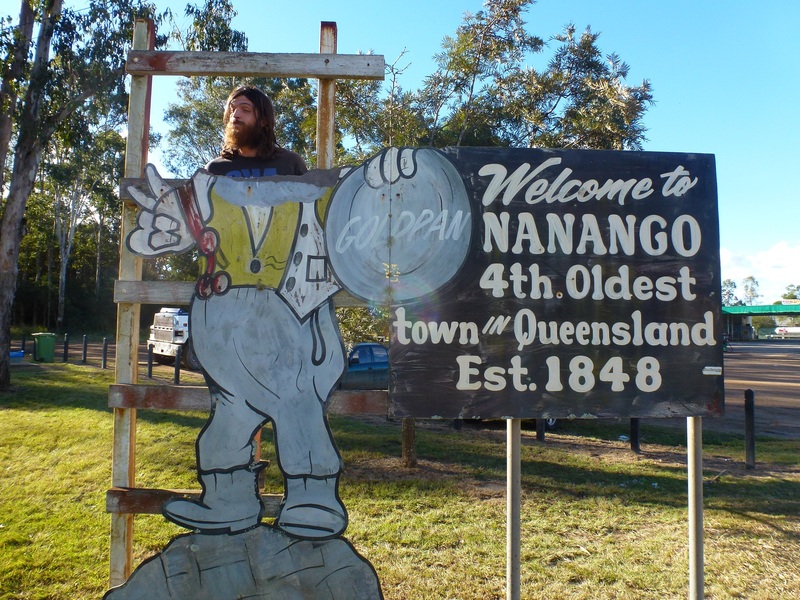 We left Kingaroy and headed to Nanango, which as you can see is the fourth oldest town in Queensland. Wowzers, what a claim to fame! 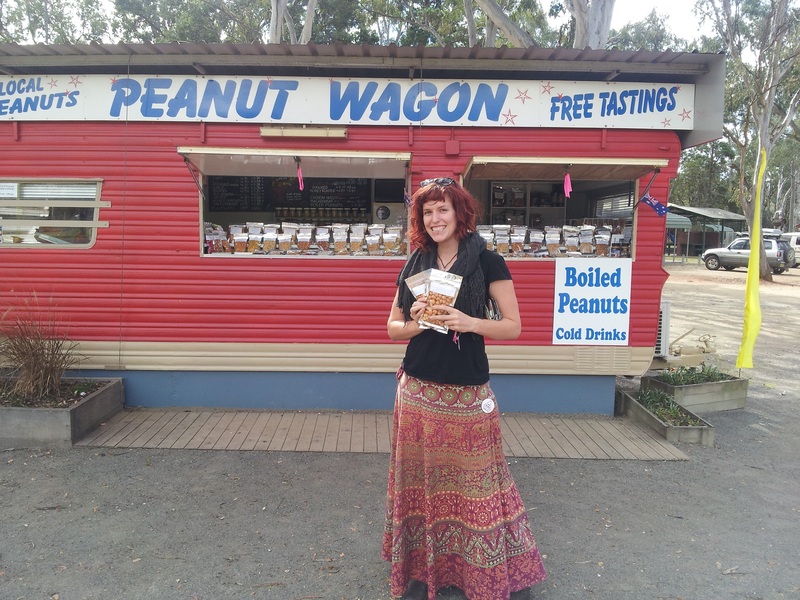 Kingaroy is apparently the peanut capital of Australia, so we had to stop in at the famous peanut van (albeit in Nanango, not Kingaroy – apparently this one is better…according to a local informer, the Kingaroy van uses imported peanuts and claims them to be local…peanut scandal!) They had more flavours of peanuts than you could poke a stick at, plus macadamias and other peanut related products. We got some chili lime peanuts and smokey hickory macadamias which tasted CRAZILY like cheese and bacon balls. They lasted all of one day. In Nanango we bumped into a guy we met at the Tara blockade, who told us there were some awesome monthly markets on the next day. He and his wife put us up for the night in their lovely home (complete with new baby black faced sheep) and we headed out to the markets in the morning. These were seriously one of the biggest markets I’ve been to. They were a mix of all kinds of things – second hand, fruit & veg, clothes, tools, plants, and more. Billy picked up an Elvis song book, and we scored all these avocados for $2. You should have seen how many you could get for $7. I’m talking a shopping bag overflowing with them. I thought that was a bit excessive for the two of us in the van, but as we started powering through our avo supply I began to regret our decision. 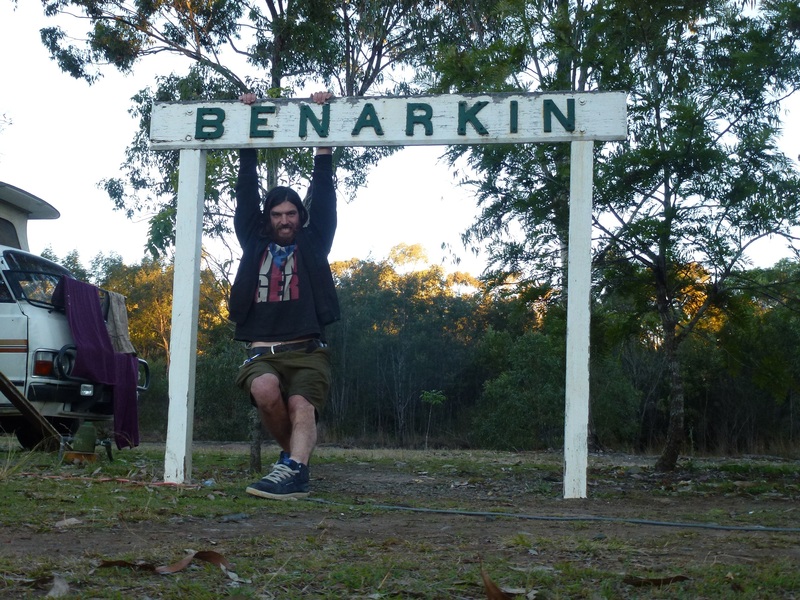 We left Nanango after the markets and set our target for a free rest stop we’d found not too far away in Benarkin, which had power (rare at free rest stops) and hot showers – amazing. Queensland has been so good to us with hot showers, New South Wales really needs to take a leaf out of their book. I was killing it, with a personal best of six showers in six days. The rest stop was really lovely, lots of grass and a playground, and a little general store across the road. I went in there to get some garlic but there was none left, and the lovely lady there went out the back to her house and brought me some of her own garlic – so sweet.